You’re headed into late spring and summer which often reduces church attendance; and therefore, offerings. Meanwhile, every church is talking about doing church communications better to engage their congregations and invite their community. But how do you improve everything on the small budget you’ve been given? Caught with a small budget and a dream of doing communications better? Do it strategically. Get Consistent. Say it the same. Waste happens when everyone keeps changing everything. Nothing builds on the last thing. Every project starts new with a different message, a different design, and often with a different brand feel. Ministry silos get built and everything starts competing with each other. More money is spent because more marketing materials are required. Instead, have a unifying thread that unites all communications. Tear down the silos and support the “farm”! You want your congregation and community to be aware of ministry coming from your church; not necessarily all the details. McDonald’s creates promotions for french fries, Big Macs, and chicken sandwiches; but ultimately, they want you to come to the restaurant for food. Get Simple. Reduce costly print. More and more people are reading less and less. So edit, edit, edit. And reap the rewards. Make your bulletin smaller and enjoy the monetary reductions. The easiest way to do this? Eliminate all non-essential announcements and use bullet points to tell people about the events. Simply say who’s invited, when it is, and why someone would want to come. Concentrate on Top Tier events that entail almost everyone. Then ensure your website has all the details in an easy-to-access area (create this if necessary with the money you’re saving by reducing the print budget). Talk Digital Hub everywhere. Once your website has the important information in a well-organized, up-to-date environment, talk constantly about it. Everyone should quickly know your web address and know they can trust it. People won’t require the details in the printed folder because they can easily access the website information anytime they need it. Most people have easy access to a computer or a mobile device. Send out a weekly email to remind people of the major events that would interest most of them. Even better for a busy church? Create various emails for each audience segment (i.e. Adults, Students, Children, etc). Make it easy for them to sign up and unsubscribe. Use social media occasionally to talk about events. 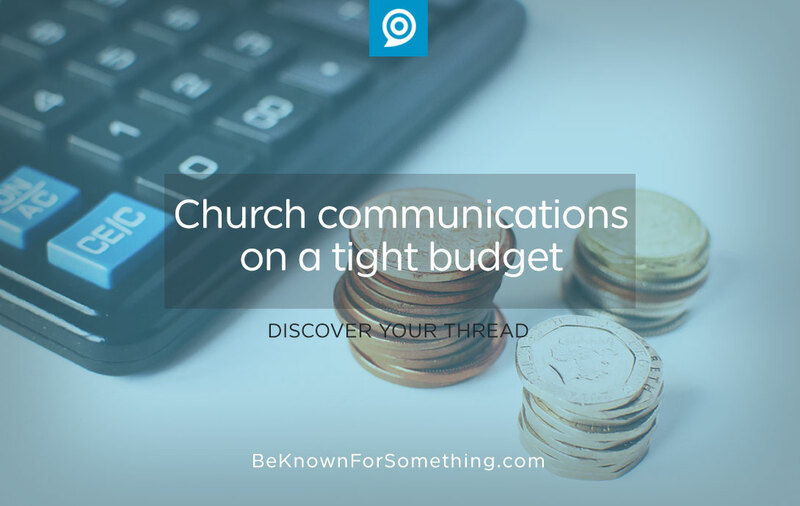 Once set up and maintained consistently and strategically, your congregation will know where to get their information. And a well-engaged audience will give to ministries they feel part of. It’s a win-win situation. The best time to start? Now. Then your communications will be great by Fall when everything kicks off for your new calendar year.